Live Video Steaming of Your Event! At In Depth Events, we provide live event streaming production services for virtually any live event, anywhere. Our video professionals and event specialists provide turnkey services from pre-planning to having live video streaming crews on your site to managing the stream itself. On site, we provide the camera rentals, live event switchers, streaming hardware and video camera rentals to bring your event in real time to the Internet – in full HD clarity! Our client base is extremely diverse. 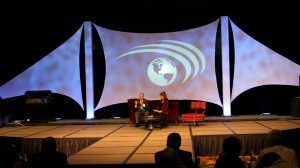 Our live event streaming production services have been used for corporate meetings where presenter, panel, and audience are streamed in real time for attendees all over the world. Our streaming services have also been used for concert events where our camera operators catch real-time video of bands and stream it to fans in full HD quality. 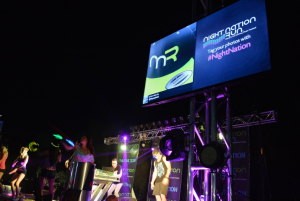 The expansion of experiential events into social media has offered marketing firms a way to promote their brands in real time environments. We have been there to provide the live event streaming production services to engage customers all over the globe! Why should I use In Depth Events for live video streaming? For two reasons – experience and integration. Although the process of actually encoding the video stream is not all that difficult, making sure you have the best possible video and audio is difficult. Additionally, making sure the venue has the right type of connection requires forethought and planning. At In Depth Events, we are a total package production vendor. Our clients use our live event streaming production services in conjunction with our lighting rentals, audio rentals and staging rentals. With a call to In Depth Events, you are assured of a total production, free of the hassles of using different vendors for different aspects of your production. Ask a Question of the video professionals and event services staff at In Depth Events for your live event streaming production requirements. You’ll find our staff friendly and knowledgeable and ready to provide the video and streaming equipment that your event requires!